PARIS, September 02. /ITAR-TASS/. 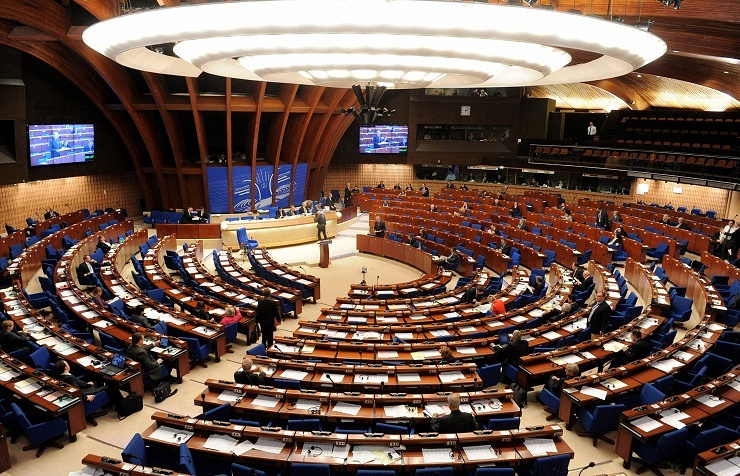 The Parliamentary Assembly of the Council of Europe (PACE) will set up a commission to look into all episodes of violence in Ukraine in the spring of 2014, PACE chairperson Anne Brasseur said on Tuesday. She said the commission would investigate violence on Kiev’s Maidan Square and in other cities, including a massacre in Odessa on May 2. Brasseur said the panel would be led by British national Sir Nicolas Bratza, who was President of the European Court of Human Rights in 2011-2012. Dozens died in a fire started by Right Sector radicals and supporters from the Maidan Self-Defense Force in Ukraine’s southern city of Odessa on May 2. Maidan is the name for downtown Kiev's Independence Square, which is the symbol of Ukrainian protests. The words “Maidan” and “Euromaidan” are used as a collective name for anti-government protests in Ukraine that started when President Viktor Yanukovych refused to sign an association agreement with the European Union last year to study the deal more thoroughly. Russian State Duma (lower house) Speaker Sergei Naryshkin said on Tuesday he was satisfied with PACE’s intention to hold a sincere, open and direct dialogue with the Russian delegation. “I’m satisfied with the dialogue even in the strange conditions when the Russian delegation was deprived of its powers in the PACE - primarily the voting right,” Naryshkin said after a meeting with PACE President Anne Brasseur. 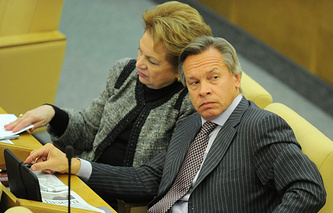 “We expressed surprise at the PACE’s reticent position on the bloody crisis in Ukraine,” he said. “In our view, the PACE does not use its instruments and its authority to call on the Ukrainian authorities to cease fire,” Naryshkin said. “The PACE has the mechanisms to make the so-called peace plan [unveiled by Ukrainian President Petro Poroshenko] work. I used the word ‘so-called’ because it was blasphemous and cynical to call the actions of the Ukrainian authorities ‘peace plan’ amid the events in the Luhansk and Donetsk regions where artillery and air strikes kill civilians every day,” he said. “We proposed the PACE to more actively use their possibilities to inform the European public about the humanitarian catastrophe in southeastern Ukraine,” Naryshkin said. Russia is the unique country that provides large-scale humanitarian assistance to southeastern Ukraine. “The PACE has its instruments to call on other Council of Europe countries to render humanitarian aid to residents of southeastern Ukraine with water, food and power shortages,” he said.